What would make your “today” better? 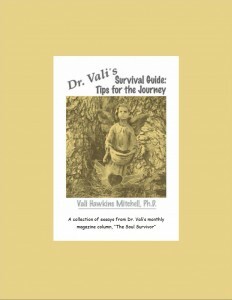 Try reading Dr. Vali’s Survival tips du jour for a dose of light and inspirational whimsy. The book invites you to share in a portion of Dr. Vali’s journey as she shared it with the Oregon Coast Survival Guide in INFISH Magazine. 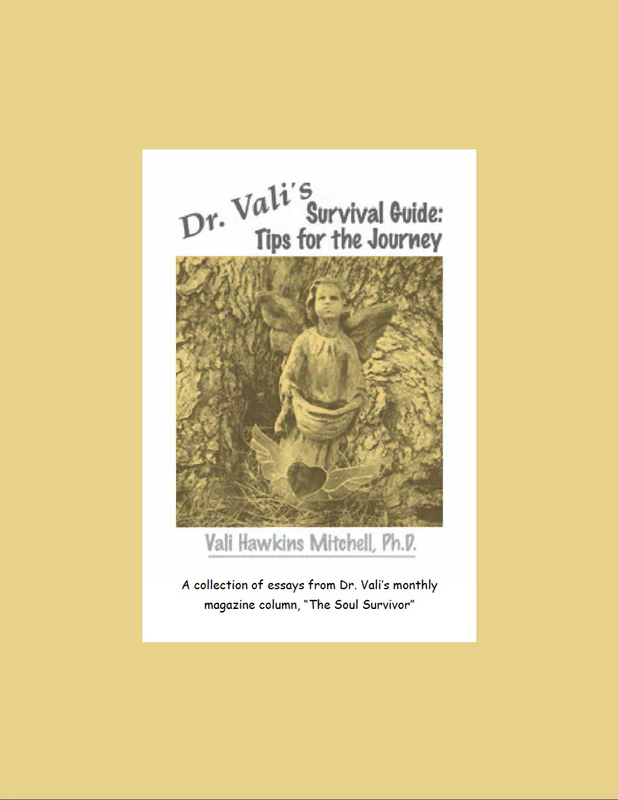 Dr. Vali’s Survival Guide, first released in 1999 is a collection of published essays extracted from her column in the Oregon Coast magazine INKFISH. Dr. Vali’s column inspired and entertained people offering them a little bit of a nudge toward joy. Although her professional and writing work has moved on since 1999, the Survival Guide still stands as a useful twinkle for a dark moment. Some things don’t change over time. A good smile or even a warm chuckle may save the day from being a dark cloud day. Perhaps a Survival tip-du jour could help put light in your day too!